On Jan. 30, as NHK kicked off its evening news program with upbeat music, footage aired of a young woman with immaculately coiffed brown hair wearing pearl earrings and her trademark “kappogi,” a Japanese-style white apron. 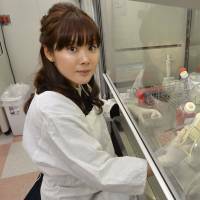 “A ‘rikejo’ (young female scientist) has stunned the world,” the news anchor announced cheerfully as he introduced Haruko Obokata, a 30-year-old researcher at the state-backed Riken institute’s Center for Developmental Biology in Kobe. The footage showed her peering into a microscope in a lab with pink walls and drawings of Moomin cartoon characters on the doors. The upbeat mood generated by the public broadcaster that night permeated the media in the days that followed. Obokata’s team of Japanese and U.S. researchers announced on Jan. 28 that they had discovered a new type of all-purpose cell called STAP, for stimulus-triggered acquisition of pluripotency. Now, less than three months later, the celebratory mood has vanished amid discrepancies in the papers, with skepticism growing daily over the “discovery” despite her emphatic claims at an April 9 news conference that STAP cells truly exist. At the same time, much of the “support” from the veteran scientists who co-authored the study has dwindled. Some turned their backs on her, saying she should withdraw the two STAP-related papers published in the British journal Nature, an idea she has flatly rejected. 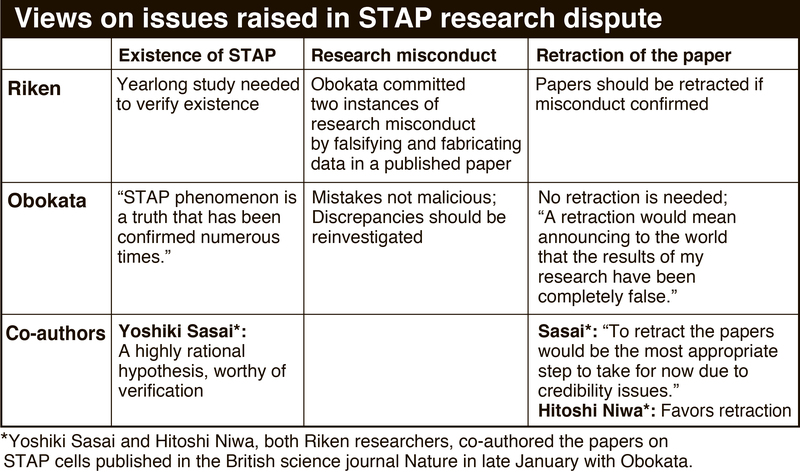 Experts say that “STAPgate,” as the controversy has been dubbed, illustrates the numerous cultural and ethical problems plaguing scientific research in Japan. At the same time, the rise of blogs by research monitors, such as PubPeer in the United States and a whistle-blower blog run by the anonymous “11jigen” in Japan, means that many instances of misconduct — including plagiarism, fabrication and falsification of data — are immediately spotted, shared and investigated on the Internet these days. 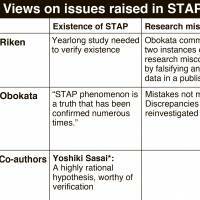 These bloggers have helped shed light on potential flaws in the STAP research not addressed by Riken’s investigation, casting doubt not only on Obokata, but also on the nation’s top research institute. In fact, it was an anonymous post on PubPeer on Feb. 4, just a week after the celebratory press conference hosted by Riken in Kobe on Jan. 28, that triggered a litany of allegations against the Nature papers. The poster said that, in an image used in one of Obokata’s two STAP papers in Nature, a part showing a DNA analysis of the purported pluripotent cells seemed to have been “spliced in” from a portion of another image. When magnified, the part where another image was inserted had unnatural vertical lines that hinted at the possibility the image had been manipulated. The investigative committee convened Feb. 14 by Riken concluded on April 1 that this splicing amounted to falsification. Obokata has since acknowledged manipulating the image but denied “malicious intent” and said it had no bearing on the overall success of her experiments. Meanwhile, the whistleblowing blogger 11jigen and others had pointed out by mid-March that another image in the papers that was being used to establish the existence of pluripotency — the ability to grow into various parts of living organisms — in the STAP cells was nearly identical to an image in her 2011 doctoral thesis at Waseda University. The experiments in her thesis, however, were carried out under conditions different from the Riken-sponsored study. The Riken committee, in its April 1 report, judged this as an act of fabrication. Obokata denied this and described it as an act of carelessness. 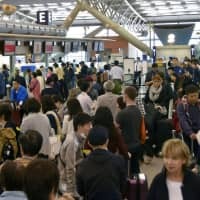 While Riken and Obokata are sharply at odds, Robert Geller, a seismologist at the University of Tokyo who has closely followed the issue and has written a book that probes the government’s wasteful spending on earthquake prediction, said that these and other errors, when added up, discredit the STAP research from its very foundations. Other problems ignored by the committee, Geller said, are the fact that the authors of the STAP papers did not declare competing financial interests despite applying for a patent for their purported discovery in April 2013. Nature makes it clear that authors must declare any related financial interests in their work, including employment, personal interest, patent applications and stocks, “in the interests of transparency and to help readers to form their own judgments of potential bias,” according to the journal’s website. Also, the paper copied, without attribution, wording from a 2005 paper by someone else in a section describing an experimental technique. This particular problem was one of the six points that Riken’s report pointed out. But the committee concluded that it was a simple error by Obokata and did not constitute misconduct. In Geller’s view, however, the committee took this too lightly, obscuring the important fact that the copied text listed pieces of equipment from the 1990s that are probably no longer available. “This goes beyond just copying and pasting. I have no idea why Riken didn’t follow this up,” Geller said. 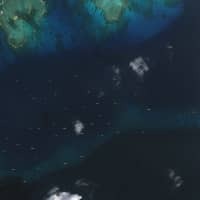 A Riken spokesman told The Japan Times that the authors consulted with Nature’s editors, upon filing a patent application in the U.S. in April 2013, whether they should declare the application in their paper by updating the article, the first version of which had been submitted to the journal in March 2013. But the authors were told by Nature such a revision “was not necessary,” according to the Riken official. Geller also criticized Riken for restricting its investigation of the two papers to only six allegations. 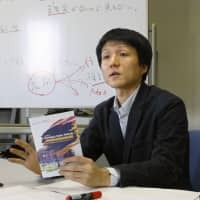 “I personally had been severely harassed (and finally found unsuitable to continue my work at Riken) because I was not willing to tolerate events that in my word constitute ‘research misconduct.’ ” he wrote. Knopfel, when contacted by The Japan Times, said that several years ago, he learned of a case of plagiarism involving a Riken scientist under his supervision. When he tried to raise the issue through a compliance section at the institute, “they gave me a hard time,” he said. 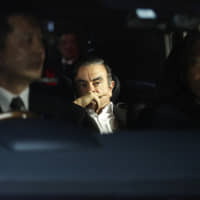 Knopfel, who said corporate Japan has a general tendency to cover up scandals, as seen in the ways Tokyo Electric Power Co. has handled the fiasco at the Fukushima No. 1 nuclear power station, noted that creating tougher rules on research ethics alone will not work. What’s the lesson to be learned from the STAP fiasco? Geller said that, ultimately, people need to realize that science is about finding out how the world works, not about making money. “We need to separate science and technology,” he said. “Science will eventually mean, if it’s successful, being applied in technology. But when we do science we are just trying to understand nature; we are not trying to do something useful in life to make money.